LUKE traveled to Canfield, Ohio on August 4th, shown by Professional Handler, Nicole Hartger .... Luke won his class each day and on Sunday August 7, Luke was WD for a 4 point Major!!! Now he has both majors out of the way, with a total of 9 points....Only 6 to go!!! Thank you Judge Mrs Barbara Dempsey Alderman !!! and Nicole!!! Thank you!! Judge Kathy Beliew ! Rockwell won Select Dog in BOB for 2 points towards his Grand Championship !! Thank you !! Judge Ken Roux !!! 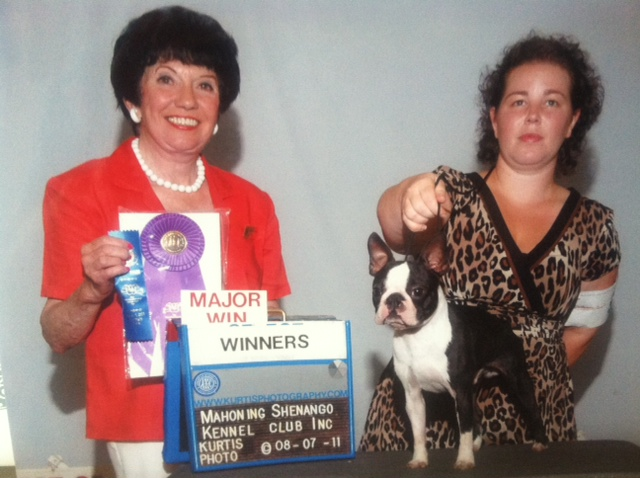 Rockwell won Select Dog in BOB for 2 points towards his GCh !! Thank you!! Judge Darryl Vice!! !